Let's not miss an opportunity to take a closer look at some suicide ganks performed in the name of the Code during the week of July 7th @ 00:00 EVEtime through July 13th @ 23:59 EVEtime. Quite a stir was caused this week when I reported that my bio had been deleted by GM The Doctor. 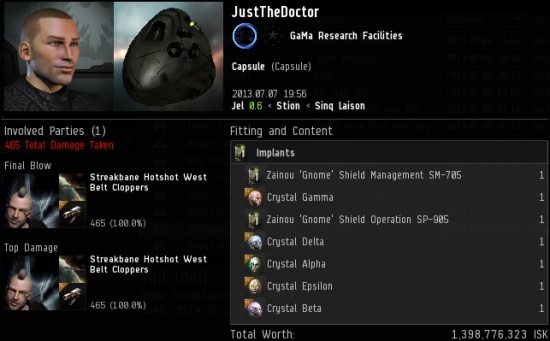 Fittingly, the most expensive pod killed this week belonged to JustTheDoctor of GaMa Research Facilities. No relation, or else we'd be in a heap of trouble! 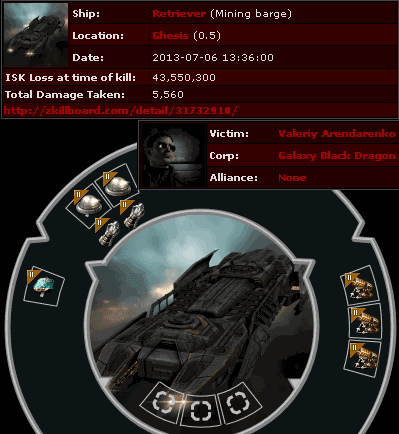 Agents Streakbane Hotshot West, xX1337MastaXx, and xX1337xHoneyzXx killed his Hulk and Streakbane got the pod. 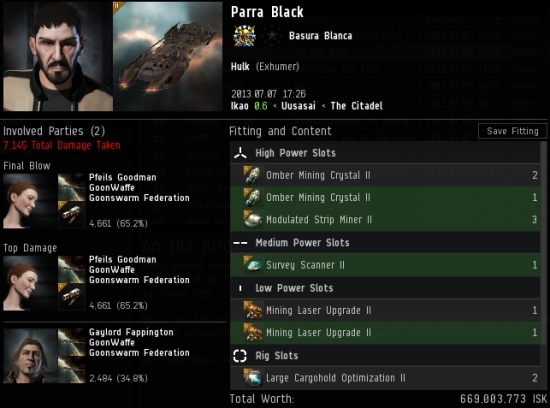 Parra Black managed to lose a Hulk worth 660 million isk. The anti-tanked vessel's value was inflated by the two large tech II cargo rigs. I thought Hulks could only fit medium-sized rigs, but perhaps this Hulk was an old one, grandfathered in under some previous system. Agents Pfeils Goodman and Gaylord Fappington swooped in like the heroes they are, and that's one less mutant Hulk to worry about. 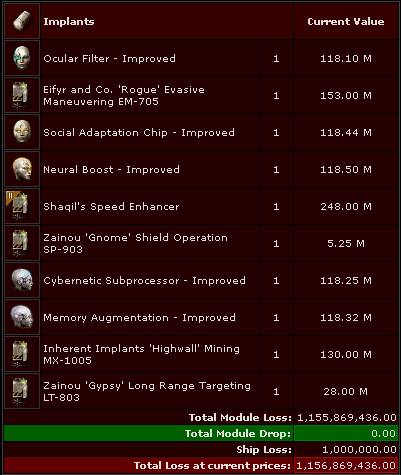 Over a billion isk in implants. Valeriy didn't bother to guard them. Maybe he'll appreciate those implants more now that they're gone? 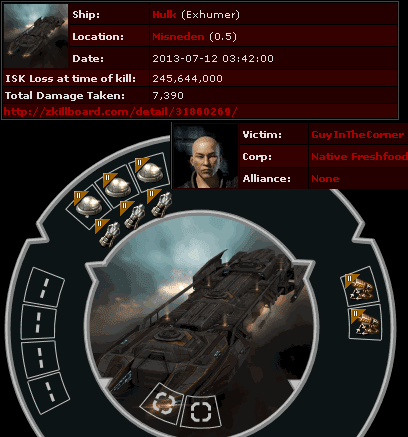 I'm alwasy happy when these high sec carebears learn about consequences in EVE. 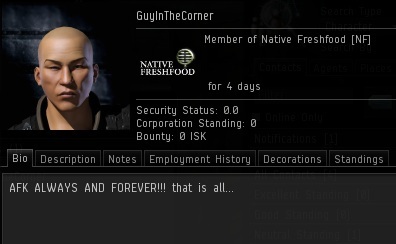 The New Order should be the new EVE University. Nothing wrong with afk mining but you have to be prepared for consequences. Shaqil's Speed Enhancer... never seen that before!